Marilyn Monroe at Fox Studios on her 36th birthday. It would be fair to say that in the last year of Marilyn’s life, nobody knew more about Marilyn’s fragile state of mind than her psychiatrist. Stories conflict regarding how Marilyn first got in contact with Greenson. 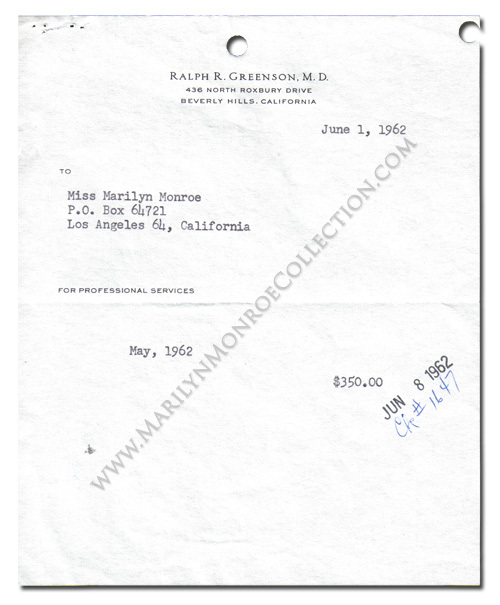 He either came recommended by Marilyn’s lawyer Milton Rudin (Greenson’s brother-in-law), by Arthur Miller’s friend Frank Taylor, or by Marilyn’s New York psychoanalyst, Dr. Marianne Kris, in August 1960, when Marilyn was flown back to Los Angeles for hospital treatment during shooting on The Misfits. 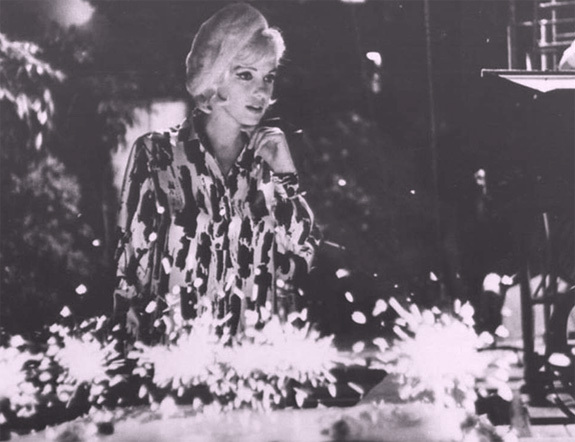 By the time Marilyn was doing the last post-production work on The Misfits she was visiting Dr. Greenson at his Beverly Hills office every day of the week.